Ah, the family road trip. A bonding experience of singsongs, roadside picnics and cheerful car games. Or, just as likely, hours of hell trapped in a small space with tired, squabbling kids. 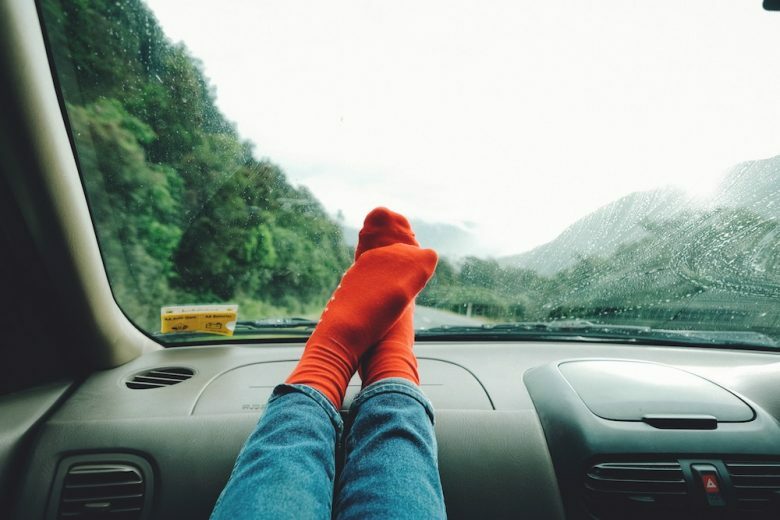 One of the principle aims of any family road trip (aside from getting to your destination) is to keep your children entertained, happy and quiet. And while a favourite DVD may work when your children are young, what if they are teenagers? Specifically, teenagers who can drive? Most teenagers will spend a family road trip sleeping, listening to their own music or sullenly staring at their phones, submersed in travel-friendly mobile games as they ignore every attempt at communication. But here’s a radical idea: if they have their driver’s license, why not let them drive? The road trip is one of the ultimate tests of holiday patience (beaten only by international flights for family travellers). In some ways, it’s the worst-case scenario: everyone’s strapped down in a tiny space with nowhere to go for hours at a time. On the up side, a road trip gives you the opportunity to talk. And on the down side, a road trip gives you the opportunity to talk! If you start getting on each other’s nerves, the next rest stop or hotel might as well be a universe away. But putting your teenager behind the wheel changes the dynamic. It requires them to focus on the road. As a parent, you have an opportunity to take a more passive role, playing the part of navigator or advisor, offering suggestions (without resorting to back-seat driving). Letting your teen drive can add to the sense of adventure and instill a feeling of responsibility, while being a learning experience for you too. The moment a teenager gets their driver’s license is one of their first stepping stones to freedom – the moment they no longer have to rely on you for lifts. A road trip can help put that moment in context, to help both parent and child adjust to the coming changes. At first, the idea of putting your teenager behind the wheel on a road trip might seem like more trouble than it’s worth. It may even fill you with a small amount of terror! But a road trip, almost by definition, is about in getting out of your comfort zone, having new experiences, and coming away with a new perspective. When you go on a road trip with your children, you get the chance to see things through their eyes. And when you let them take control, you’ll see how they handle a new responsibility – and get a glimpse into the person they’re becoming. And yes, not everything will probably go smoothly. But even the most well-planned road trip can become a chaos of improvisation by the end. Packing lists go ignored or get lost; vital supplies get left behind; a missed exit means losing precious daylight; entertainment choices prove lacking. Mistakes and crises are inevitable on a road trip. But if handled gently and with caution, moments like this can be crafted into learning opportunities. The secret lies in not sweating the small stuff. No one, no matter what their age, enjoys being lectured while behind the wheel. Letting your teen drive can lead to other ways of relaxing your usual parental discipline. By becoming a passenger, you give your teenager an opportunity to become more active in the road trip itself. You can let them choose the next landmark or stop along the way, for example. So, rather than guiding the vacation ‘story’ yourself, you give them an opportunity to explore their own interests in their own way. There are times, however, that putting your teenager behind the wheel isn’t a good idea. There’s no substitute for experience, and not every new driver is ready for the intensity of urban traffic or the six-lane freeway. You’ll almost certainly have to take the wheel for part of the way, if only because every road trip needs a relief driver. Make a safety checklist, and work together with your kids to make sure everything is accounted for. Make sure your teen driver is fully covered by your auto insurance, or they have their own. Stock up on the necessary supplies: fuel, water, healthy snacks, the charger and portable battery for everyone’s phone. The road trip is a time-honoured family adventure, rich with opportunities to make memories. For just a while, it frees us from everyday life and allows us to embrace the promise of the open road. Many parents struggle with knowing their teens may soon be out of the house for good. Why not turn your next road trip into a truly memorable adventure?